With Christmas coming up and gift ideas running low, what better way to impress your friends and family than with something homemade? 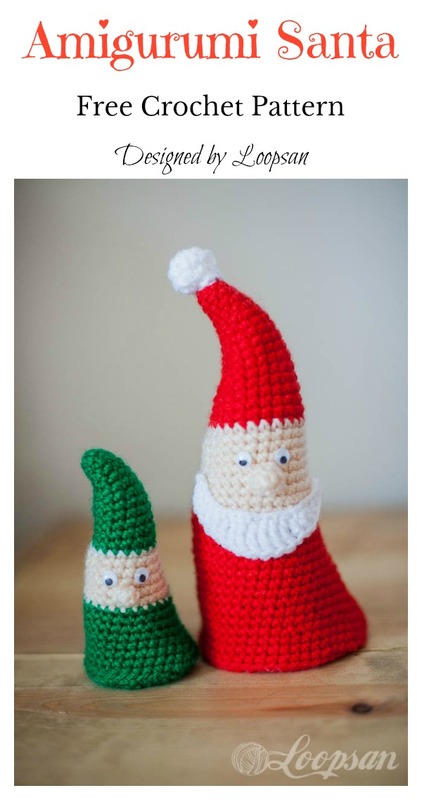 The Amigurumi Santa Free Crochet Pattern is just what you need for the holidays. This adorable crocheted Santa is perfectly at home on the sofa, a shelf or the mantel. Kids would love to have him in their room watching while they sleep. It would also be a cute ornament, or a fun stocking stuffer from Santa himself. Happy crocheting.